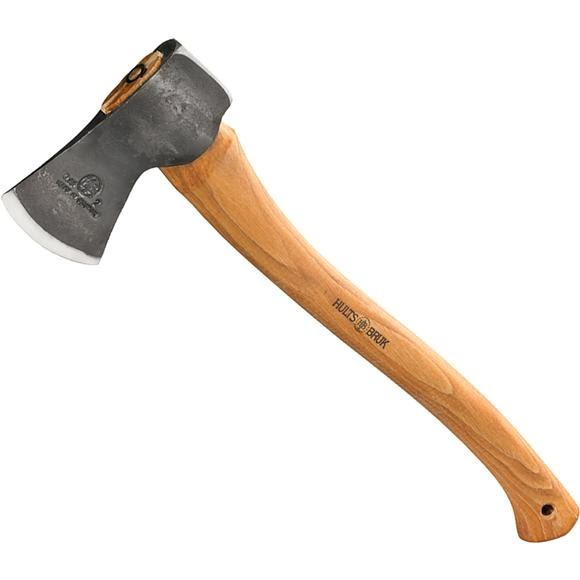 A great axe for camping or hunting designed to offer considerable power and leverage in a compact size. Ideally suited for light forest work, splitting smaller firewood and felling smaller sized trees. The Aneby from Hults Bruk can be comfortably used with one hand or both hands, and features a rounded poll for skinning. This item has an axe head weight of 2 lbs and a handle length of 20 inches. Overall Length Handle Length: 20"